This is our Atlas Cedarwood Steam Distilled Essential Oil. Herbal Folk Traditional uses for Atlas Cedarwood include antidote for poison, bronchial infections, cosmetics, embalming, incense, perfumery, preservative, repel ants, moths and harmful insects; and urinary tract infections. 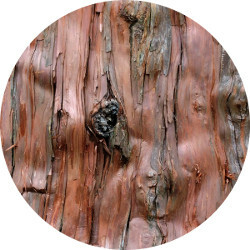 Atlas Cedarwood is touted as an aphrodisiac, has grounding qualities and is used in meditation blends! It has a balsamic, rich, sweet, warm, woody scent. Atlas Cedarwood blends well with Bergamot, Boronia, Calamus, Cassie, Cinnamon, Cistus, Clary Sage, Costus, Cypress, Fir, Frankincense, Geranium, Grapefruit, Jasmine, Juniper, Labdanum, Laurel Leaf, Lavender, Lemon, Lemongrass, Marjoram, Mimosa, Neroli, Patchouli, Pine, Rose, Rosewood, Rosemary, Thyme, Verbena, Vetiver, Ylang Ylang as well as oriental and floral bases. To not contribute to over harvesting, we use wildcrafted Atlas Cedarwood wood shavings to produce our Atlas Cedarwood Essential Oil. Atlas Cedarwood Essential Oil is used as a fragrance component and fixative in cosmetics as well as soaps and other household products. It encourages confidence and calms restlessness, can be used in massage formulations to nourish the physical body, support the emotions and to grow spiritually. Atlas Cedarwood Essential Oil has the following actions: antiseptic, anti-putriscent, anti-seborrheic, aphrodisiac, astringent, circulatory stimulant, diuretic, expectorant, fungicidal, mucolytic, sedative for nerves and as a tonic.